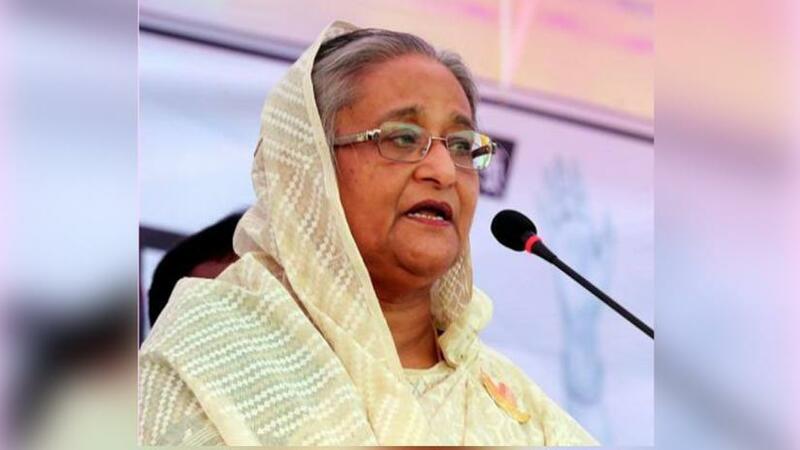 Prime Minister Sheikh Hasina has urged the members of Bangladesh Ansar and VDP to work as united to keep up the country’s development. “As the biggest force of the country, you’ll have to work unitedly with hard labour to continue advancement of our development … you’ll also have to discharge duties reposed on you with utmost honesty, courage and sincerity,” BSS quoted the premier as saying at the 39th National Rally of Bangladesh Ansar and Village Defence Party (VDP) at its academy in Gazipur on Tuesday (Feb 12) morning. The Premier also urged the Ansar, VDP members to stay alert to check militancy, terrorism and drugs in the country. The prime minister inspected a spectacular parade of smartly-turned out contingent of Bangladesh Ansar and VDP riding on an open jeep and took salute, read the report. Earlier on her arrival at academy’s parade ground, the prime minister was received by Minister for Home Asaduzzaman Khan Kamal, Secretary of the Public Security Division under the Home Ministry Mostafa Kamal Uddin, and Director General of Bangladesh Ansar and VDP Major General Kazi Sharif Kaikobad and the Commandant of the academy.